pathiri recipe | ari pathiri | malbar rice pathiri | kerala pathiri with step by step photo and video recipe. kerala cuisine or malabar cuisine are famous for their rice based dishes and recipes which can be served for breakfast, lunch and dinner. ari pathiri or malbar rice pathiri is one such rice flat bread made for special occasions or for dinner. it tastes great when served with meat curries, but also equally tastes great with simple veg kurma or chutney recipes. medu vada recipe in mixie | uddina vada | medhu vadai | ulundu vadai with step by step photo and video recipe. the medu vada recipe is mainly prepared by soaking the ural dal for 3 hours which is later grounded to coarse paste. it is later flavoured with ginger, green chillies, dried coconut, coriander and curry leaves. it is then shaped to doughnuts and deep fried in oil until golden brown crisp. badam halwa recipe | badam ka halwa | almond halwa recipe with step by step photo and video recipe. there are several varieties of halwa recipes which is either prepared with flour or from nuts. badam halwa is one such variety which falls under the nut's category and is the most popular among its category. in this post lets see how to prepare this amazing almond halwa recipe. masala toast recipe - iyengar bakery style | bakery vegetable masala toast with step by step photo and video. toast or sandwich recipes are not common to indian cuisine, yet it is embraced gracefully by indians. every state and region has its own unique and tasty toast sandwich and toast recipes. one such open sandwich or toast recipe is masala toast recipe from the popular iyengar bakery chain. saagu recipe | mixed veg saagu recipe | vegetable saagu recipe with step by step photo and video recipe. saagu are typical, traditional and authentic south indian, karnataka dish. it is prepared with the mixed combination of spices, coconut and vegetables. date cake recipe | date walnut cake | eggless date and walnut loaf with step by step photo and video recipe. cake recipes are pretty common especially during the christmas celebrations. the most common recipe made during that time is fruit plum cake made with grape juice and mixed berries. but the other common recipe is date and walnut cake which shares the same texture and taste, yet much simpler to bake. bread masala recipe | masala bread | how to make bread masala with step by step photo and video recipe. there are several snacks and starter recipe made with leftover sandwich bread slices. it is either deep fried snack recipes with outer covering as bread or bread slices tossed with spices. bread masala falls under later category tossed with pav bhaji masala. kanda poha recipe | maharashtrian poha recipe | kanda batata poha with step by step photo and video recipe. poha or phe recipe is very common across india and are made for various reasons. however in western india, particularly in maharashtra it is made as breakfast or even as evening snack. even in maharashtra there are myriad versions of it and one of the popular version is kanda poha made with onions and beaten rice. kotte kadubu recipe | idli in jackfruit leaves recipe | gunda recipe with detailed photo recipe. kotte kadubu is usually prepared during festival in south india. 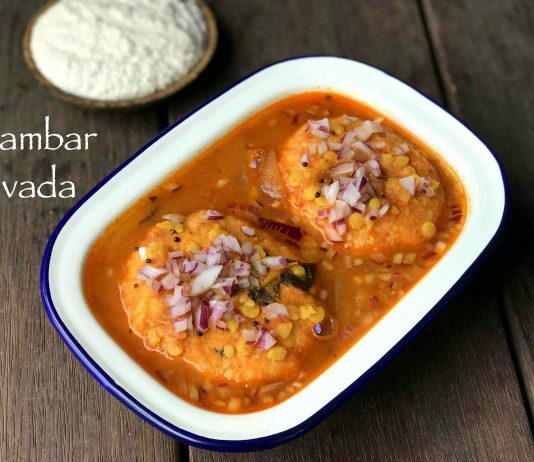 idlis are best enjoyed with sambar and chutneys. paneer kheer recipe | paneer payasam | paneer dessert recipes with step by step photo and video recipe. the texture and taste has a strong resemblance to basundi or rabri but still has a unique flavour of crumbled paneer. paneer payasam is typically garnished and served with fried dry fruits like almonds and cashew's with some raisin toppings. veg frankie recipe | veg kathi roll recipe | veg frankie roll recipe with step by step photo and video recipe. traditionally frankie recipes were known as kathi kebab which was typically prepared in layered paratha's. however, these days many variations of frankie recipes has evolved, especially after introduced as street food. paneer kolhapuri recipe | how to make spicy paneer kolhapuri gravy with step by step photo and video recipe. generally kolhapuri recipes or dishes are famous for its spice level which completely depends spicy kolhapuri masala. the good news is that, this spice masala can be used to most of the recipes or curries. it can be even added to frankies, sandwiches and even burger too. mix veg paratha recipe | vegetable paratha | how to make mix veg paratha with step by step photo and video recipe. indian recipes mainly deal with rice or flatbreads as the main dish for lunch and dinner. while rice is a staple for south indians, roti or paratha is for north indians. with respect to paratha, it can be made with myriad vegetable stuffing's, but this mix veg paratha is made with a combination of vegetables. chikki recipe | peanut chikki recipe | groundnut chikki or shengdana chikki with step by step photo and video recipe. the recipe of chikki is very straightforward and it begins with preparing a hot jaggery syrup with the brown jaggery. typically jaggery would melt by itself when heated but it can be triggered with by adding some water. later it is mixed with roasted peanuts and transferred to mould which shaped to 6–8 mm thickness bars. besan halwa recipe | besan ka halwa recipe | besan ka sheera with step by step photo and video recipe. halwa recipes are very common across india and are made with different ingredients. basically, it is a dense sweet which can be either shaped as cubes or perhaps as dense powder. one such popular halwa recipe is besan ka halwa recipe with the goodness of besan, ghee and also myriad dry fruit options. rava cake recipe | semolina cake recipe | suji cake or sooji cake with step by step photo and video recipe. there are several variations and flavors to this simple semolina cake recipe. while the cake can be prepared without any flavorings, but occasionally it is topped with orange syrup, coconut milk, rose water or any other flavored sugar syrup. however this recipe is simple sponge rava cake without any flavour. wheat halwa recipe | tirunelveli halwa | godhumai halwa or godhi halwa with step by step photo and video recipe. traditionally halwa recipes are super rich dessert recipes with the amount of ghee and sugar used in it while preparing. same applies to wheat halwa recipe and the quantity can be shocking for many. hence it is often prepared for occasions and festival feast. bread 65 recipe | spicy bread 65 recipe - restaurant style with step by step photo and video recipe. 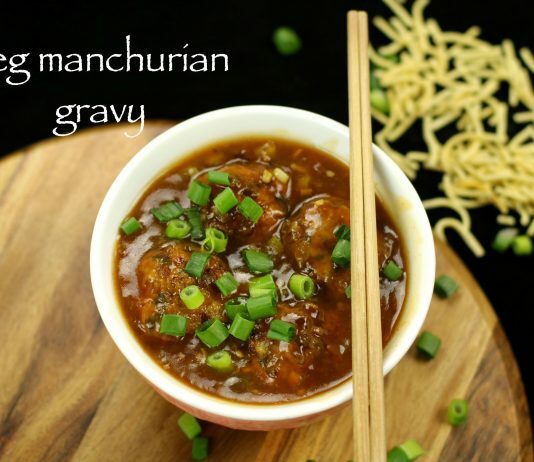 traditionally, this recipe is prepared with either gobi or paneer. bread 65 recipe follows the same recipe as gobi or paneer 65. however, instead of paneer or gobi i have used bread slices. this recipe comes very handy if you have some leftover bread slices in your kitchen and you do not wish to prepare sandwich out of it. ragda chaat recipe | matar chaat recipe | how to make ragda chaat with step by step photo and video recipe. chaat recipes are quite essential evening snacks recipes, especially in cosmopolitan and urban cities. it can be made with myriad ingredients and deep fried snacks, but almost all snacks require a topping of ragda to make it lip smacking snack. but ragda can be used as a main ingredient with toppings like sev and veggies to make an simple and tasty matar chaat recipe. aloo tikki burger recipe | mcaloo tikki recipe | burger tikki recipe with step by step photo and video recipe. the patties or tikki's are the essence of this aloo tikki burger recipe. the preparation of these thikki's are very similar to the conventional aloo tikki's. however these are later coated with breadcrumbs and then deep fried to make it crisp and crumbly with onion and tomatoes layering. garlic bread recipe | cheesy garlic bread recipe | garlic cheese bread with step by step photo and video recipe. there are are several ways of preparing the garlic bread recipe. however this recipe is very similar to domino's flagship garlic bread recipe. perhaps the easiest way to prepare garlic bread is with store bought, but in this recipe i have started from scratch. certainly it is one of the easiest, simplest and yummiest baked recipe.